I’ve been a journalist – a member of “the media” if you like – for the better part of 30 years. I’ve interviewed scores of candidates running for everything from county sheriff to president of the United States and have come to one inescapable conclusion: Whatever media bias that may exist in covering politics is dwarfed by the fact that candidates, by and large, create their own weather. We’ve seen a lot of media scapegoating from Donald Trump in this campaign, but the reality is it’s the candidates themselves who determine, through their words and actions, what gets written and said about them. If Trump, for instance, doesn’t want the headline to say, “Trump won’t release tax returns,” he could release his tax returns. The fact that he hasn’t raises questions about whether the information contained in those returns square with his public characterizations of his wealth and charitable giving, among other things. He may not like it, but that’s news. Likewise, if Hillary Clinton doesn’t want to be perceived as sneaky, she could have long ago released the speeches she gave to corporations that paid her handsomely to share her thoughts with their high-powered executives. The fact that she hasn’t – though excerpts from some of them have been leaked – raises the question of whether her private comments are at odds with the public persona she is asking voters to buy into on Election Day. Clinton’s emails, the appearance of State Department influence-peddling via the Clinton Foundation, Trump’s taxes or his ill-advised comments on any one of a number of topics – none of those issues are driven by media bias. There are issues of public interest underlying each of those stories. Those topics are fair game and the candidates knew those issues would be raised when they decided to run. A lot of the “bias” claims coming from Trump partisans is that the media hasn’t gone after Hillary Clinton hard enough on issues like her use of a private email server or the flow of money into the Clinton Foundation when she was Secretary of State. Aside from the fact that those issues have, in fact, been widely covered, the criticism implies that it’s the job of the media to carry a particular candidate’s water and take one candidate’s claims at face value but be highly skeptical of anything coming out of their opponent’s mouth. One of the jobs of a reporter is to report on a candidate’s stated positions on a range of issues. That has happened in this election, certainly. But reporters also look for inconsistencies between what a politician says and does and look back in time to see what he or she has done or said in the past. That’s a time-honored method of vetting candidates because, unlike the investment disclaimer warning that “past performance is not an indicator of future performance,” our country operates on the opposite assumption when evaluating candidates for public office. Candidates who complain about unflattering coverage – and they pretty much all do at one time or another – usually need look no further than the mirror to find the source who betrayed them. Which is not to say that reporters and editors are always free of bias. Journalists have feelings and opinions, too. Do those opinions ever come out in their reporting, or manifest themselves in an editor’s headline choice? Ascribing motives is a pretty inexact science, but based on thousands of hours spent in newsrooms in my little corner of the world, I’d say it’s rare. If there is a bias in newsrooms, it’s probably not liberal or conservative, but oriented toward a lack of transparency. Candidates who fail to offer policy specifics, who seem evasive or appear to be hiding something set off red flags, regardless of party affiliation or political philosophy. It’s the job of reporters to be at least a little skeptical and ask questions that might bring a candidate’s fuzzy rhetoric into sharper focus. That’s not bias, it’s professionalism. But if a candidate feels backed into a corner, claiming bias can be the ultimate in misdirection. If there is a bias against Donald Trump in the nation’s newsrooms, it’s likely to be rooted in his lack of genuine transparency and the perception that he’s a mean-spirited demagogue who talks a good game but offers little in the way of substance. Whatever bias that exists toward Hillary Clinton probably takes some of the same form; her campaign roping off reporters at a New Hampshire holiday parade last year was widely seen as a metaphor for how she views the press. Trump probably hasn’t helped his cause by referring to members of the media as “the lowest form of life,” but most journalists I know are people of amazing character. They strive to be fair, get their facts right and take great pride in serving the public interest. To be sure, they are as flawed as any other group of people you could probably name. But one of the characteristics that define them is that when they make an error, it pains them greatly. More than once have I seen reporters wince visibly when told they made a mistake in a story — be it the spelling of a name or a material fact. The truth matters to people who work in the news business. Unlike Donald Trump, who, when called out on one of his many untruths, just blames the media and moves on to the next lie. 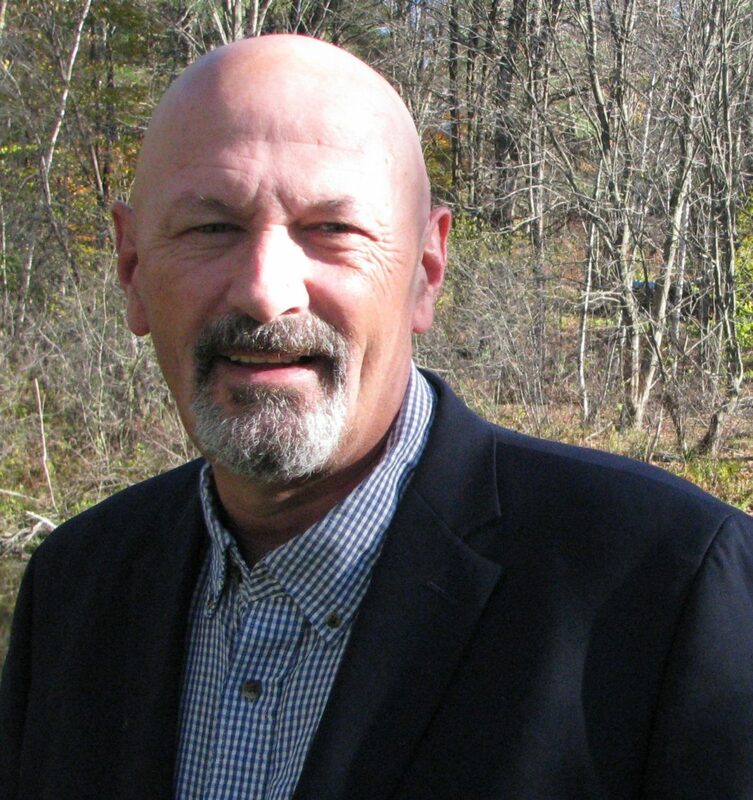 Roger Carroll is a New Hampshire journalist and author who has worked in print and radio. He was the 2014 New Hampshire Press Association Editorial Writer of the Year and won the 2015 New England Newspaper and Press Association award for Best Commentary. When he was promoted to his most recent position of executive managing editor two years ago at The Telegraph of Nashua, he told a reporter who was interviewing him: “I ran the in-school suspension program in Newport Middle High School for a few years. That’s a lot like running a newsroom.” He added that it was a great day for Roger Williams University graduates in his degree program. “This is a victory for philosophy majors everywhere,” he said. Carroll resigned from the Telegraph in September over what he called “censorship” of a story about the sale of a downtown Nashua building to the newspaper’s owner Ogden Newspapers Inc., a West Virginia-based media company that owns more than 40 newspapers across the country. You can follow Carroll on Twitter at @GraniteStateRog.